Modern winemaking procedure and selected raw material match in this new suggestion of Miliarakis winery for your fine daily table 35o 12’ N – 25o 11’ E refers to the geographic location of the main wine producing area of Crete, Peza. 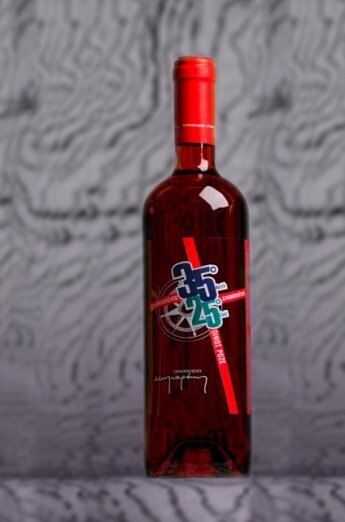 From the vineyards of that area comes that refreshing rosé wine ready to accompany your every day tasty break, characterized by fresh red fruits aromas, a pleasant taste of strawberry, cherry and raspberry, a sparkling and long aftertaste. Produced by Kotsifali and Syrah, that wine can perfectly match with rich summer salads, pasta and BBQ.